This town has become an important centre for providing supporting services to feed the needs of two nearby stylish well-established holiday and residential developments; Quinta do Lago and Vale do Lobo. Therefore has many restaurants, bars and shops to make the perfect holiday. Almancil offers many private villas with pools and all are very close to the beach. 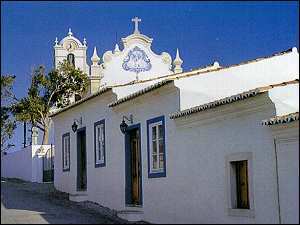 Almancil is only 20 min from Faro airport. Click here for details of rental properties in the Almancil area.